It’s taken a while for us to get this issue out, but it does look beautiful and you should be swelling up the right places. It’s the work of this fine group of individuals (go and explore their online worlds). 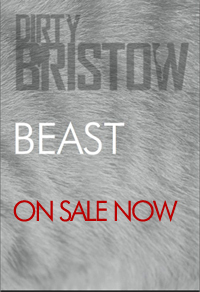 Is 80 pages packed with essays, stories, opinion pieces and artwork on the theme of ‘Beast’. Or available from selected outlets including Nostalgia and Comics, & Urban Coffee Company. Issue One is still available, as are our lovely badge sets and exclusive T-shirts. Attached to the front of a limited number of the copies is the finest half inch of plastic and magnetic tape seen since Kylie’s Got to be Certain cassingle. 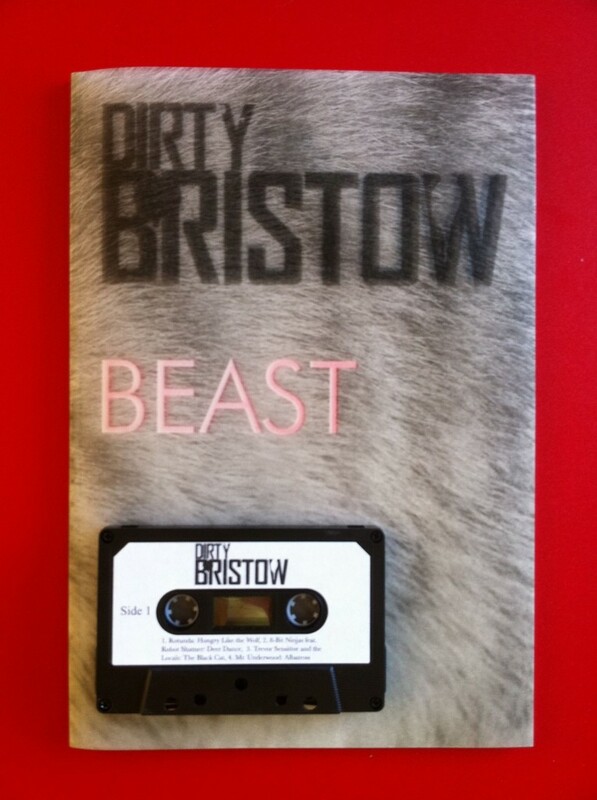 Featuring four new and exclusive cover versions from our favourite acts and something a bit special — Dirty Bristow the Game, for the 48K ZX Spectrum. As we hope will continue to be a possibility we’ve gone off at some tangential tangents with extra-curricular activity; if you’ve not got a cassette attached to the front cover don’t fret, the contents are all online if you should but hunt. 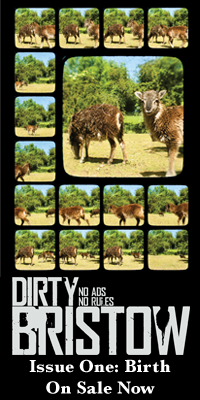 Dirty Bristow the Game, for the 48K ZX Spectrum. 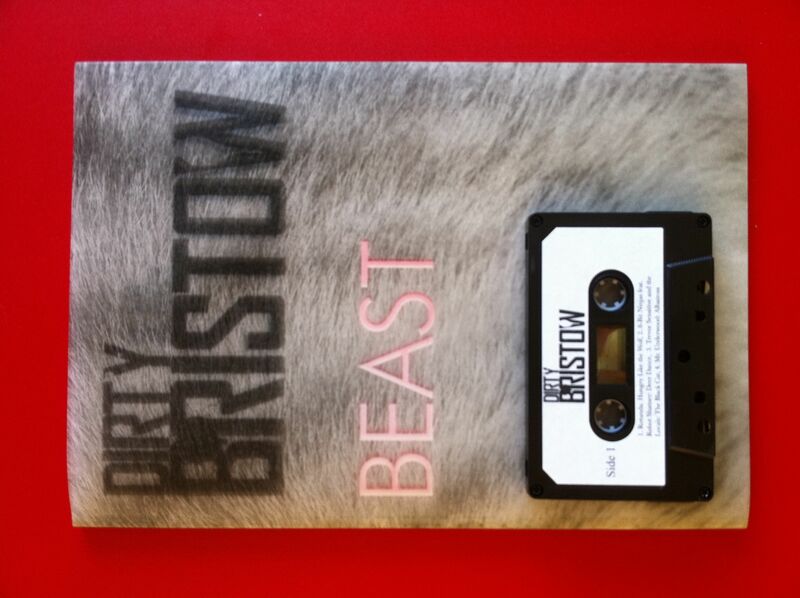 Dirty Bristow: Beast — the music. There’s no such cliche here as a ‘difficult second issue’, everything about pulling this together was a complete joy—otherwise we just wouldn’t do it. From being astounded that we managed to flog enough of issue one to make issue two a viable thing, to almost weeping at the unexpected artistic delights that the contributors leaked, it was one tiny gorgeous death after another. Weeping from the eyes. The eyes.